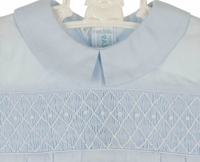 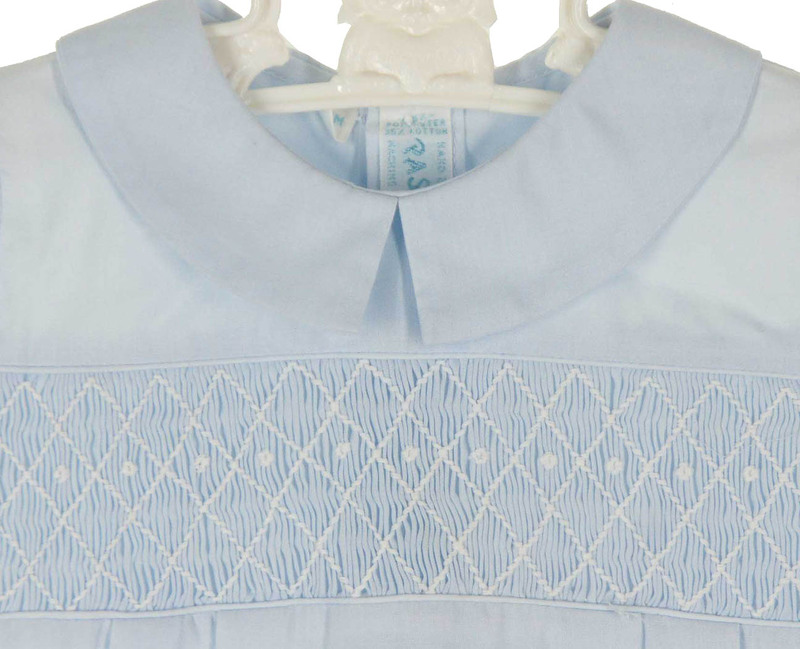 This beautiful new blue cotton blend romper by Pastels, a division of Feltman Brothers, features smocking on the chest with white embroidery and a blue Peter Pan collar. 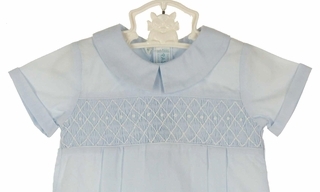 The short sleeves are finished with turned back cuffs. 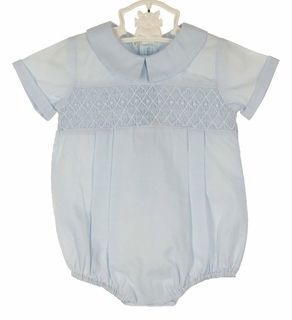 The romper has a back buttoned closure and snaps in the crotch for quick changes. This classic little smocked romper is the perfect outfit for the most important events and could be worn for portraits, weddings, or any special occasion.